I've transported everything to www.stenaros.com. Come and join me there! This is from Heather, who picked out this card because the back also had a picture of the Graceland Kitchen. Which is fab, I agree. I'm not eating one of those sandwiches, though. Nuh-uh. You can't make me. This is from Sara, who got it while Christmas shopping at the Kate Spade store. It's pretty, especially for an advertisement postcard. After you stop swearing and rushing about to move other things out of harm's way and wipe up the spill, of course. If you multitudes of pens handy (which we do thanks to Matt's absentminded kleptomania) you can space the pages out so they can dry. It works pretty well. 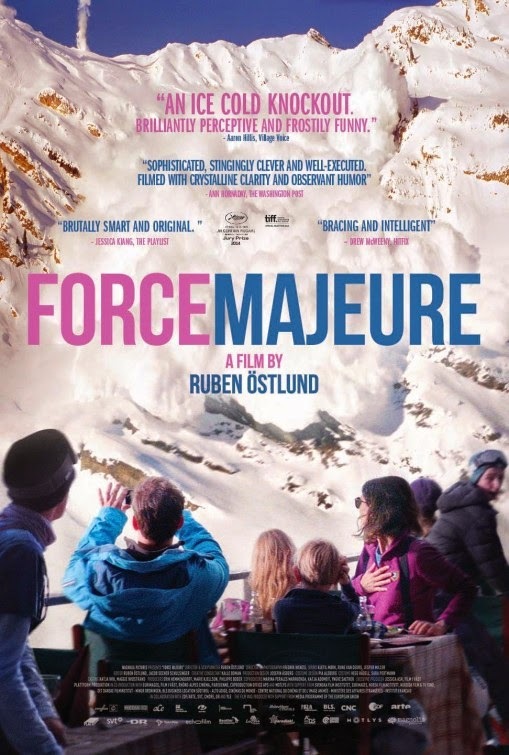 This is a quality movie in that it's pretty, the acting is quite good and the plot (husband runs away from family when he thinks an avalanche is going to sweep over them) very interesting. However, it is a very slow and deliberate movie, giving the viewer a lot of time to take in all details in a scene. Aside from multiple scenes of teeth being brushed, I had ample time to contemplate the many ways of transporting skiers at fancy Alpine resorts. Why yes, I'm making six loaves of bread today. But I only have two bread pans! So staggered baking it is. At the time of this picture, I had two loaves rising, and had prepped the wet ingredients for the other four. When it was time, I poured the milk/water combo into a pot and heated it, then poured some of the warm milk/water back into the jar to loosen the honey. Then I stirred in the butter--melted in the microwave--and that made it easier to pour the liquid into the dry ingredients while the mixer was going. The bread turned out great. But alas, no pictures. This is from the lovely Kathleen, whose blog I enjoy so. She remembered that I loved the Vanishing Trades stamp and so she sent me a new one in the series. Apparently the postage went up, so there are more vanishing trades for us. This is a picture of the Garland Maker.